This year I decided to put more effort in my part of the garden and sowed a few different easy to grow plants in a mini greenhouse in early March. One of the plants that survived is the chamomile. I am pleased that I was able to harvest these beautiful and fragrant small flowers. I pick the flowers before the full heat of the noon sun. Since I only have one pot, I harvested several times allowing more blooms to grow. I used a 2-step drying process since I don’t have much room, a small harvest and pick the flowers at different times. 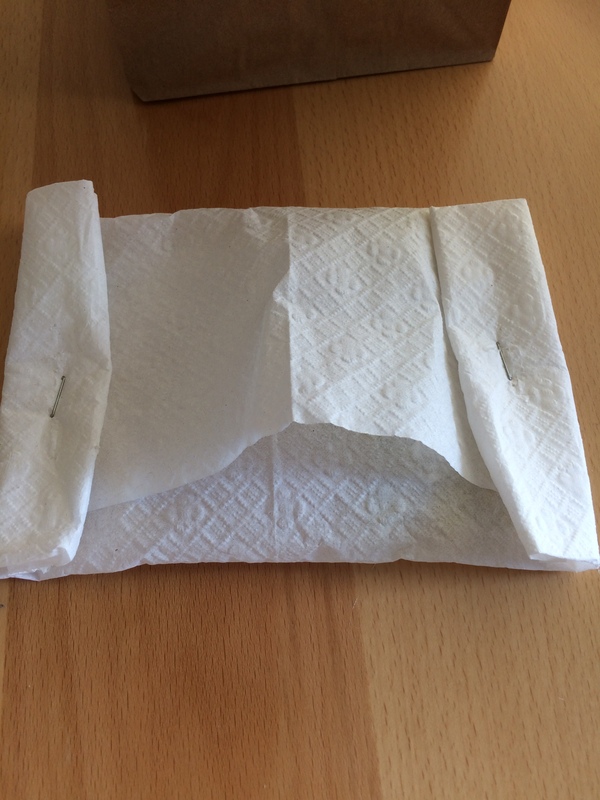 Step 1: Paper napkins secured on both ends to hold the fresh chamomile blooms. 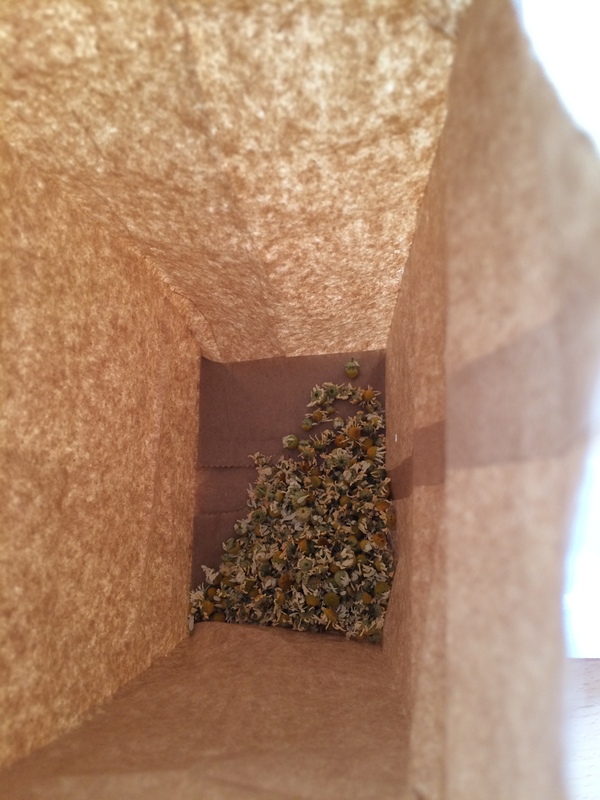 Step 2: I transfer the dried flowers after a couple of weeks to a paper bag.This will allow the blooms to dry more. I reuse the paper napkin for the next batch of blooms to dry. 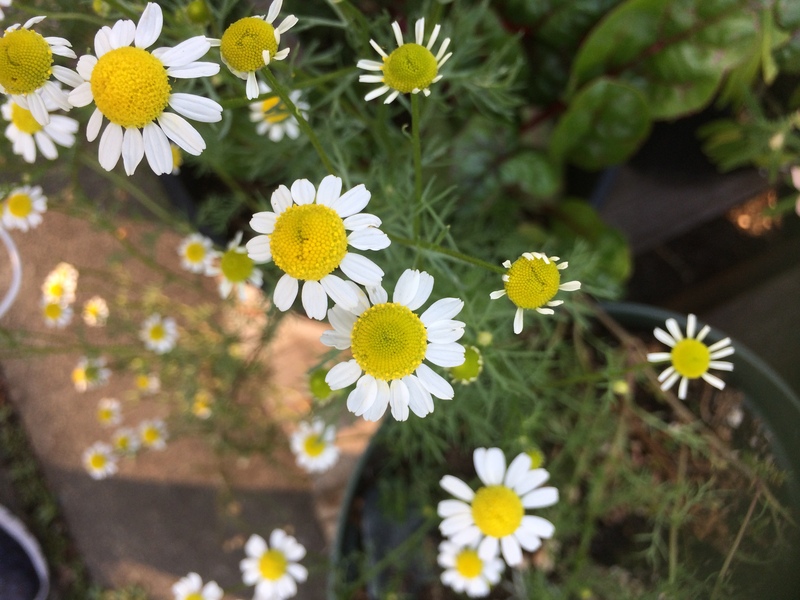 I may only have enough for a cup or two of chamomile tea but it is nice to know that it came from my garden, and that is good in my books! This is the way we garden for edibles in the city, by using containers! Luckily our condo tower has an accessible rooftop where we can garden on containers and raised beds with a useful composting bins nearby. We have totally eliminated putting organic (fruits, vegetables and eggshells) from the landfill and proud to say that we have been doing it for close to 8 years now. Between the “greens” and “browns” from the other gardeners in the building, we manage to keep the composting bins in order. Here’s a sampling of our garden harvest this year. 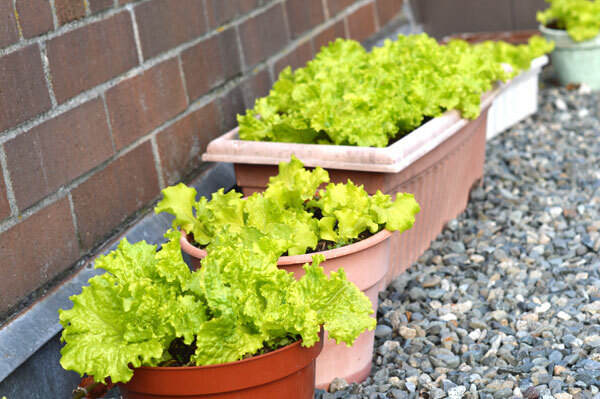 Yes, you can grow lettuce in these small containers! These planters are usually used as balcony planters but we found better use for them for growing our organic leaf lettuce. Tip: Stagger planting the lettuce from seed to ensure you have a continuous supply through the growing months. Our raised cedar planter with tomatoes and cucumbers. 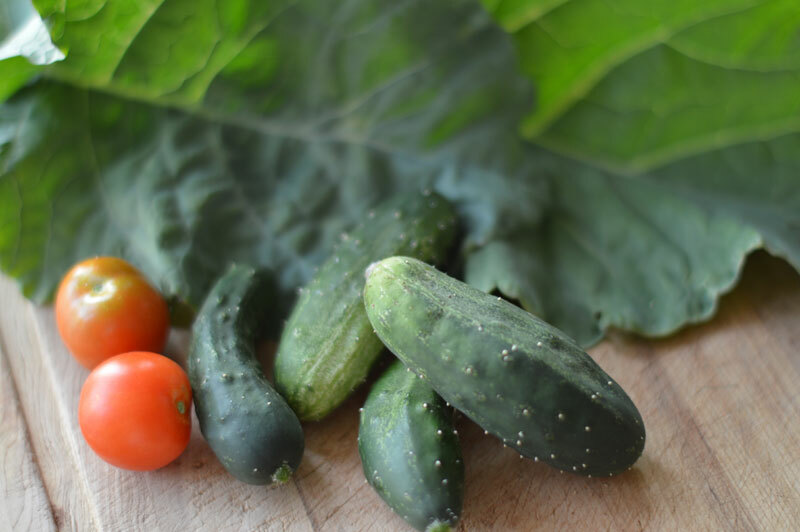 If you have not tried fresh cucumber still warm from the garden, it is sweet, crunchy with tons of flavour!